People are becoming more aware of the power of using essential oils for health and well being. Safe, powerful and effective this gift from nature can be used to support immune function, help ease aches and pains, memory issues, emotions and anxiety, digestive health, for natural cleaning and skincare and much, much more. You’ll be surprised, there’s usually an oil that will help improve your life somehow. Join me in the comfort of your own home with a few friends, or one to one, as we explore how pure therapeutic grade essential oils can help you. There is an opportunity to sample some of the oils and learn more about their amazing health benefits. Contact me for more information or to arrange a class. Here is a link to my Makeovers by Melinda’s Health and Wellness Group on Facebook, where I share useful information on using Essential Oils for their health benefits. It’s amazing what clever natural solutions there are for so many different health issues that you, your family or friends may have (from babies up to great-grandparents), whether it’s physical or emotional. I don’t post constantly in the group but do like to share information that will help people and educate them on the power of essential oils. Although it’s a public group you have to be approved by me to join, you are welcome to add friends that may be interested too. 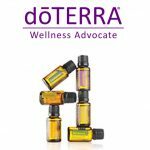 I have been a Wellness Advocate for over 2 years and absolutely love the products and helping people improve their health, they are truly amazing. I would love to share them with you. Click to join my Makeovers by Melinda’s Health and Wellness Group on Facebook. Click here to watch the Gift of the Earth video for an introduction to essential oils. If you have ever enjoyed the scent of a rose, you’ve experienced the aromatic qualities of essential oils. These naturally occurring, volatile aromatic compounds are found in the seeds, bark, stems, roots, flowers, and other parts of plants. They can be both beautifully and powerfully fragrant. In addition to giving plants their distinctive smells, essential oils protect plants and play a role in plant pollination. In addition to their intrinsic benefits to plants and being beautifully fragrant to people, essential oils have long been used for food preparation, beauty treatment, and healthcare practices. The ArōmaTouch Massage is a treatment I offer at my Makeover Studio. It is a back and foot massage which includes four primary steps designed to de-stress and balance the body’s systems. Each step includes the application of two essential oils or essential oil blends specifically formulated to support healthy emotional and physiological functions for well-being. The ArōmaTouch Hand Massage can be of great benefit to an individual as it can be catered to each person’s needs by selecting an oil which will best benefit them. The technique is easy to learn and I can teach you so that you can use the technique on family and friends to make someone’s day a little better. The technique can help with some health issues and also is a lovely treatment for sick or elderly people. I am happy to teach this method free of charge so you, in turn, can share it with others. Contact me to find out more information about how essential oils can help improve your life or to arrange a class at your home with friends. Click the photo below to see how essential oils can help with your family health.